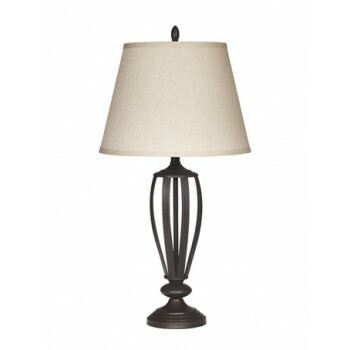 With an oil-rubbed finish base and linen-like shade, this table lamp complements virtually every aesthetic. Though neutral and versatile, this metal table lamp is anything but boring. Open-work design has an eclectic, one-of-a-kind feel.